The RAAF King Air 350 fleet will be progressively returned to service from Thursday after the type was temporarily suspended from flying on June 30 due to a chemical contamination concern. A Department of Defence statement released on Tuesday evening said that “as measurement techniques and test equipment continually improve routine maintenance” had detected strontium chromate inside the aircraft’s environmental control system. “Subsequent cleaning of the fleet has been carried out and the aircraft will return to service throughout August,” the statement reads. According to Wikipedia strontium chromate is used as “an anti-corrosive primer for zinc, magnesium, aluminium, and alloys used in aircraft manufacture”. 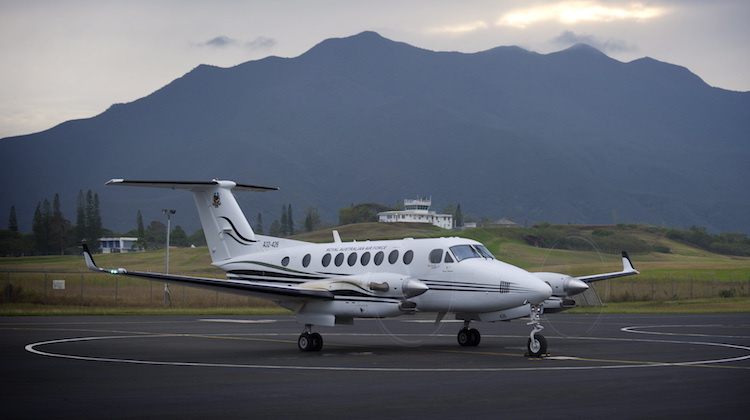 The King Air 350 is operated by RAAF Townsville-based 38 Squadron as a light transport and by East Sale-based 32 Squadron for air combat officer training.